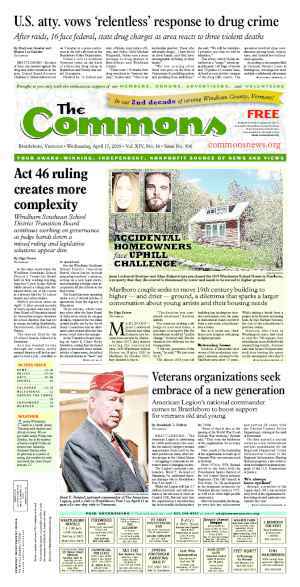 BRATTLEBORO—Town Meeting Members decide the fate of the new $15.8 million municipal budget at a Special Representative Town Meeting on June 2. Selectboard members unanimously approved the overhauled budget on May 20. The new budget represents a municpal tax increase of 3 cents per $100 of assessed value compared to the previous fiscal year. The fiscal year 2015 budget defeated in April came with a tax increase of 8 cents. Voters defeated the original $16.2 million municipal budget in a special townwide referendum on April 17. 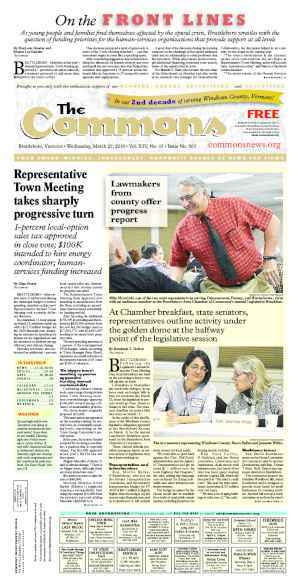 The budget had passed Representative Town Meeting in March. The board lowered the fiscal year 2015 budget’s bottom line through cuts of $402,759 and the use of $200,000 from the town’s unassigned fund balance to defray expenses. The reductions totaled $602,759. The Selectboard approved board member John Allen’s amendment, 4-0, to use the surplus funds. Member David Schoales abstained. Allen said that, in his opinion, the budget surplus was “built up on the back of the taxpayers” and should return to the taxpayers. Other board members had voiced concerns about defraying expenses with rainy-day funds that could bail out the town in an emergency. The town previously used its surplus for emergency repairs after Tropical Storm Irene flooded parts of the town in August 2011. Since the special April referendum, the board has wrangled over where to cut expenses. The board considered cuts to staff, services, and capital projects, including the Police-Fire Facilities Upgrade Project. An underlying quandary for the board was that the townwide vote, conducted by Australian ballot, was essentially silent, lacking voters’ guidelines or debate. Based on public comments and debate, however, during the March RTM, the board decided that voters felt they could not afford the second bond for the Police-Fire Facilities Upgrade Project. In response, the board axed the $261,473 budgeted for interest payments on the second bond of $9 million. The town took out a $5 million bond on the upgrade project, which is effectively sidelined pending the budget vote. 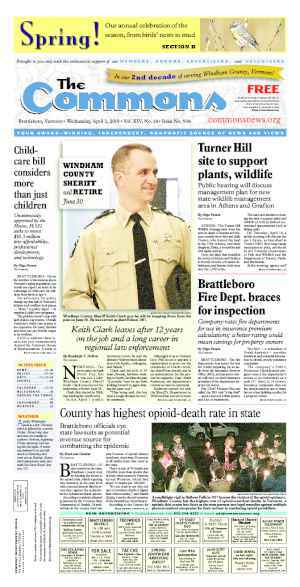 Early in the budget rebuilding process, the board announced it might cut staff from the library, Recreation and Parks Department, and the Animal Control Officer (ACO) in the Brattleboro Police Department. The board avoided reducing the fiscal year 2015 budget through staffing cuts. Though it did not cut staff, the board did agree May 13, at Police Chief Eugene Wrinn’s suggestion, to cut the ACO’s hours from 40 to 30 per week. The board also approved cuts to sidewalk capital projects and the purchase of a police cruiser. 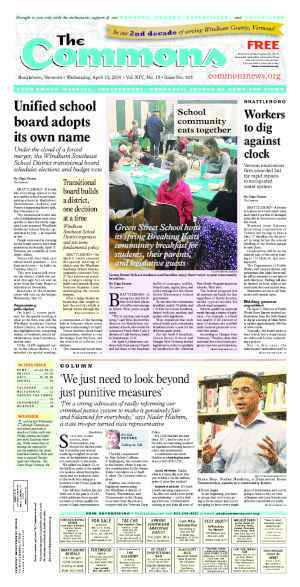 Other departments — the library, the town clerk’s office, planning, recreation and parks — trimmed their budgets to save more than $12,000 from line items other than staff salaries. The Fire Department cut its budget by $18,311 to reflect changes in vacation buy-backs, holiday pay, and other benefits. Before the recent budget reductions, homeowners with houses valued at $100,000 would have seen an increase of $85.14 starting July 1, while houses valued at $300,000 would have seen an increase of $255.41. Under the $15.8 million budget, if approved by RTM, taxes on a $100,000 house will increase $32.72 and taxes on a $300,000 house will increase $98.17. Interim Town Manager Patrick Moreland thanked town employees and department heads for their diligent work and professionalism during difficult staffing discussions. He thanked everyone who participated in the budget vote and discussions adding that he had heard from hundreds of people on the issue. That said, Gartenstein also delivered a warning, saying that the town had avoided deep structural changes in the form of staff and service cuts this year. The future may look very different. “I’m still not happy with this,” said Selectboard Vice-Chair Kate O’Connor of the budget before the board took its final vote. “I worry about this,” she continued. “It’s going to hit the fan again in a couple of months” when the board starts the budget process for fiscal year 2016. Schoales said, “Cutting services is a sucker’s bet. […] The only thing you get from cutting services is fewer services.” He said added that the town should gather more facts about what it really needs. Board member Donna Macomber also thanked everyone who had expressed their concerns and ideas over the past weeks. She asked that people remain involved. She added that she felt glad the board did not start this difficult year by making staffing cuts, and that the community would need to be more willing to make cuts down the line. Originally published in The Commons issue #256 (Wednesday, May 28, 2014). This story appeared on page A5.